The GetFurnished.com online store offers you its mirror rental service for a period of between 1 and 36 months, depending on your needs. 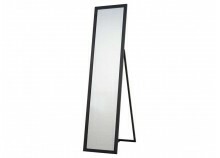 Take advantage of this opportunity to rent a mirror at a lower cost from our wide range of available products. You can choose for your rental all the mirror models: bedroom mirror, silver mirror, wall mirror and many others, exclusively manufactured by the best brands. A mirror rental with GetFurnished.com is available for a very low monthly fee. It is an offer that meets all budgets and will allow you to make considerable savings on your income. Contact us and our professionals will have the mirror of your choice delivered to you at any time at your convenience. Once the contract is finished or you have finished with the mirror, you can return it to us. In addition, you can also extend the rental period. Renting a mirror meets a practical everyday need, especially if you are an employee on a mission or a student temporarily living in a house and you often have to prepare yourself (take care of your clothes, do your hair, shave, make-up, etc.) before going to your workplace. But beyond the simple practical side, a mirror will also bring a decorative touch to your whole room. Mirror rental with GetFurnished.com is therefore a matter of course. You benefit from all the advantages of the product, and you can change or return it when you want. 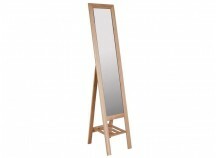 - The Price: With GetFurnished.com, you can rent and use the best mirror models at a lower cost. We offer the cheapest rental offer on the market. 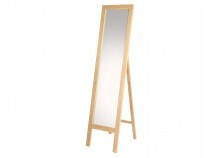 - Quality: You can choose a mirror for your room that will meet your needs and tastes. 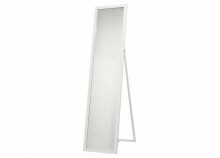 Our mirror models are among the best on the market and are manufactured by the best brands. - Simplicity: Contact us to benefit from fast and efficient delivery to the address and time of your choice.